My thoughts on “cotoeri”, the 3rd major single from Masion book girl. Ah Maison book girl, the thinking man’s Idol group. Well, I think that’s probably something some people might say sarcastically anyway. I won’t lie, Maison book girl’s music is a bit of a daunting prospect if your usual music diet consists of more mainstream genres like Indie-Rock or Idol-Pop. It’s probably not the best problem to have as a group trying to grow your fanbase, but Maison book girl do seem to be doing pretty well up to this point anyway. I do kinda get the feeling that they’re treated more like a meme in the West though which is unfortunate but I know you MBG fans are out there and you go hard in the paint for your group so shoutout to all of you. I have an interesting relationship with Maison book girl’s music. For a long time I really wanted to “get it” but I had some kind of mental block I guess. Then there would be a song here and there that was maybe a bit more…conventional and I’d think I finally got it but that feeling wouldn’t last very long. That being said, I really enjoyed their last single “412” which you can read my review of by clicking here. I guess by Maison book girl standards this one was a lot more easy to get into for normies like me, which probably isn’t the worst thing if they’re trying to snag a few more fans. Coming into this new single, I’m kinda worried that maybe I still don’t get it but I’m hoping for the best because I really do want to like Maison book girl more than I do already. I’ve seen them live a couple of times now and their performances are great even if the music is a little difficult to bop your head or dance to. Naturally I’m not expecting a crazy shift in the overall sound of this single but if I can find some things here and there to latch onto then that’ll probably be enough to reassure me that I “get it” now…maybe. Anyway, let’s start the review! “cotoeri” opens with the familiar “IKEAcore” instrumental sound that has become Maison book girl’s hallmark. Things certainly sound blocky but maybe just a little bit less syncopated than usual, or maybe I’m just starting to get it now. The chorus is probably the only kinda “strange” part of the instrumental and even then it’s pretty tame by Maison book girl standards. Vocally things are very pleasant and even quite lively at times. I think a lot of people probably don’t give Maison book girl the credit their vocal talents deserve which is a shame because they all have great voices even if the instrumentals aren’t everyone’s cup of tea. “cotoeri” is definitely one of Maison book girl’s more accessible songs in my opinion so you should check it out and see what you think. I was kinda expecting Stone Cold Steve Austin’s entrance theme to play at the end though. Onto the first b-side and we have “Juroku-sai” or “Sixteen year old”…I’ll just let you speculate amongst yourselves as to what that does or doesn’t mean. Unsurprisingly we’ve once again broken out the wooden blocks and wind ensemble but…is that a steady, traditional drum pattern I hear? Nah, I’m probably imagining it but I definitely hear some piano and it’s some rather enjoyable piano at that. Vocally things are actually pretty catchy and in a conventional way so even plebs like me can enjoy it. This is another pretty accessible song and personally, I’d have put this one as the a-side over “cotoeri”. Good thing they both got MVs so it’s super easy for you all to check them out…you’re going to check them both out right? “Ame no Mukougawa de” is the second and final b-side on the single. It is also the spoken word track that anyone who has checked out more than a couple of Maison book girl releases has come to expect. For me, I don’t really follow what gets said too well so I’m sure there’s plenty being lost on me but I’m sure I’m not the only one. There is some rather beautiful piano playing though and I don’t need to know Japanese to appreciate that. These kinds of tracks are definitely something different but I can’t imagine it’s something you’d actively seek out to listen to on a playlist. It definitely works for the kind of image Maison book girl are trying to convey though. In my opinion, “cotoeri” is the most accessible Maison book girl release to date. If you’ve been put off by their less than conventional compositions in the past then I think this might be a good opportunity to check back in on them. The music still has a lot of quirks but they have smoothed them out a little. If I had to guess, they’re probably trying to reach a slightly wider audience which makes a lot of sense. That or maybe I really do just get this stuff now…probably not. 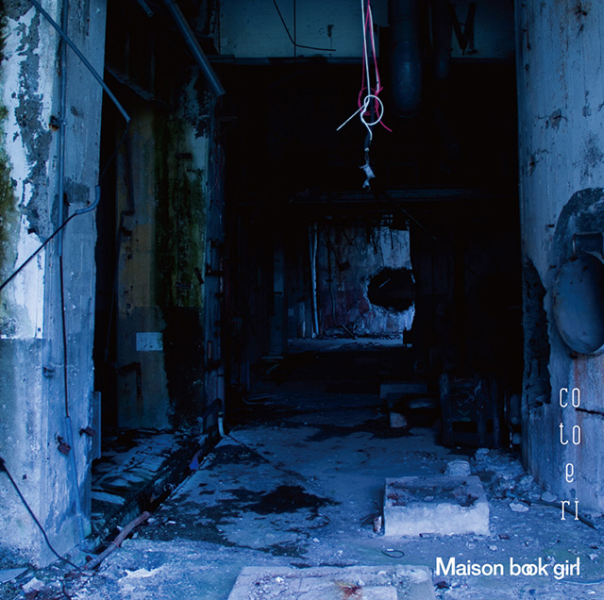 If you liked what you heard here, consider going back and checking out Maison book girl’s “Image” album (review here) that came out earlier in the year. I feel like I should also probably go back and give it some more love because I recall that I wasn’t exactly blown away at the time. Apart from that, I await the next Maison book girl release with great interest. Will this trend of more easily digestible songs continue or will it be back to the polyrhythmic madness that they built their name on?